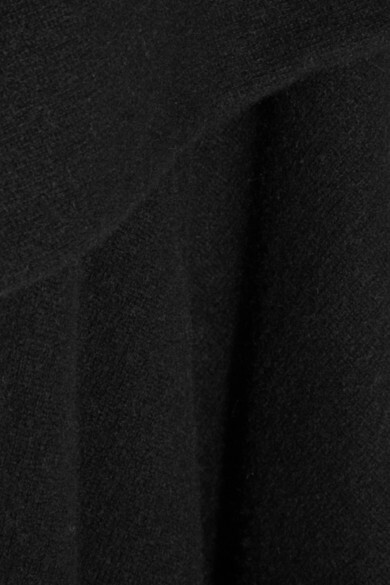 Madeleine Thompson's generously proportioned black wrap is spun from luxuriously soft and cozy cashmere. Carry this relaxed coverup when traveling to stay snug on long flights. Shown here with: Theory Tunic, Frame Denim Jeans, Isabel Marant Boots, Lanvin Necklace.